BERLIN (Reuters) – A startup founded by three university students has become one of Germany's fastest growing tech firms without taking any outside investment, until now. On Wednesday, the company, Celonis, announced it has taken $27.5 million in venture funding in a first round led by the London arm of global investor Accel Partners and 83 North, the European-Israeli spin-out of Silicon Valley's Benchmark Capital. The Munich-based company turned profitable just over one year after it was formed and this year will generate "several tens of millions of euros" in revenue, said its co-founder and co-chief executive Alexander Rinke, now 27 years old. Rinke said the outside funding and business development expertise of the venture firms now backing it can help Celonis "grow to IPO-size level." The company plans to spend the money to hire sales staff, upgrade its technology and further global expansion, especially into the United States, he said. Celonis sells a novel form of big data analytics software that allows corporate customers to improve how arcane business processes work within each organization. 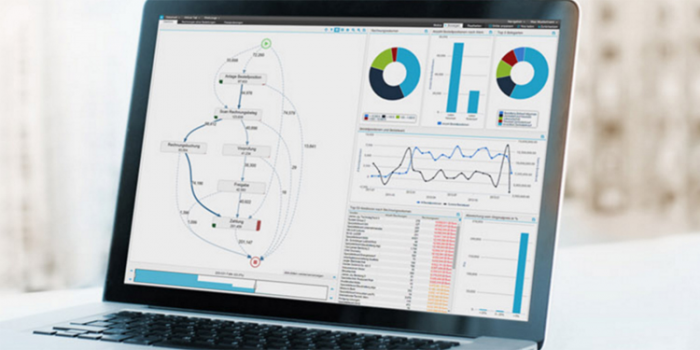 It analyzes log files and other bits of data from all computer systems to map out the inner working of the organization and to identify potential technical bottlenecks. It has signed up some of the world's biggest companies as customers – Siemens AG, ABB Ltd, UBS, KPMG, Deloitte & Touche Plc, Bayer AG and Vodafone Plc, as well as a range of medium-sized firms – more than 200 customers in all, across 15 industries. Twenty of them already have more than 1,000 Celonis software users, Rinke said. It got this far through "bootstrapping" itself, pulling together 12,500 euros to get computer systems set up and tapping dry what was left of their student bank accounts until they could begin to fund themselves from operations. "The beauty of these 'bootstrapped' companies is that they have great entrepreneurs who have already proven their markets," said Harry Nelis, a partner at Accel. The company says it has created a new category of business analytics software it calls "process mining", while technology market research firm Gartner has dubbed the field "Automated Business Process Discovery". Rivals include Fluxicon of the Netherlands, Finland's QPR Software Plc, and two U.S.-based firms, printing services company Lexmark and SNP AG. SAP, Europe's largest software company, signed a partnership with Celonis last year to resell its business process mapping software worldwide.